This past week was a good one. Nothing crazy, or out of the ordinary, or especially adventurous. Just easy & pleasant & nice. Even though it wasn't the kind of week that makes great blog fodder, I'm going to give it a shot anyway. Nathan and I both had the whole weekend off, which hardly ever happens. As the Saturday approached, we made many grand plans. Camping at a nearby lake! Kayakying out to Masonboro island! Finally finishing the chicken coop! Unfortunately it rained the whole. entire. weekend. While this washed out many of our plans, we still had a good time. We decided to brew a batch of beer, the first one in a long while. We ended up drinking a beer at the homebrew shop while getting our ingredients, which was pretty wonderful - the folks at Wilmington Brewing Company really are the best. 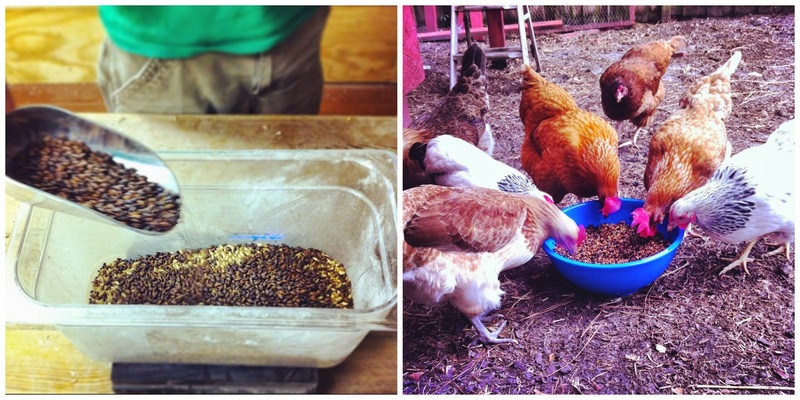 We ended up choosing an English Porter and after an easy afternoon brewing and hanging out with our friends K and W, we treated the chickens to leftover spent grains. Everyone was happy. 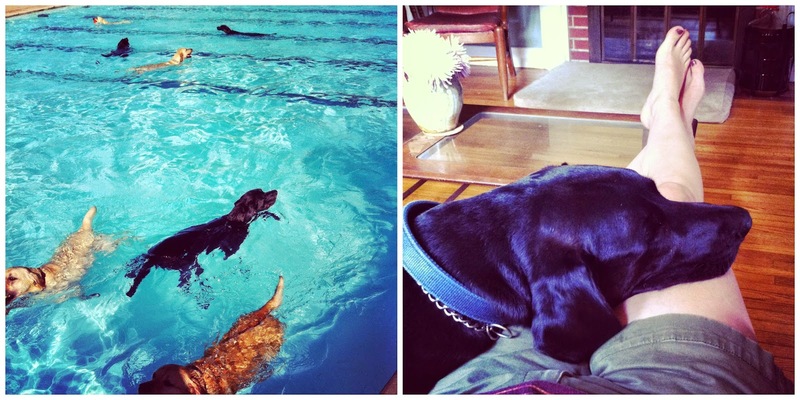 This week was also the annual Pooch Plunge. I have blogged about it before (in 2011, 2012, and 2013, to be exact) so I won't flood you with the usual photos. I will say that it continues to be the best week of the year, at least according to Seamus and Calvin. In case you need a refresher, Wilmington's public pool closes after Labor Day, and the following week, before it is drained, they open the pool to dogs. It costs $5 per pup, and the money goes to the local animal shelter, so there's really no reason not to go. We went a record breaking three times this week, and it was great. Seamus loves to swim, and Calvin loves to chase a ball through the water, and I love to watch them having the time of their lives. Plus the Pooch Plunge is the only thing that will keep Calvin asleep past 6AM and that is priceless. 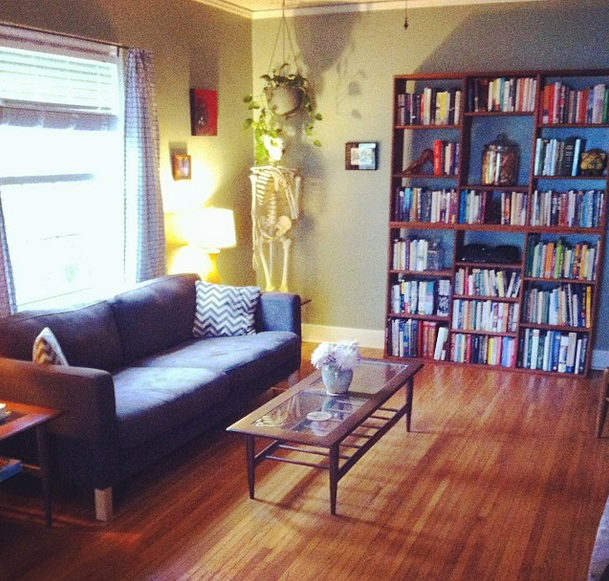 The other morning I snapped the above photo of our living room and posted it on Facebook and Instagram. It reminded me that I still owe y'all a proper tour of our new house. One day. In the meantime, it's safe to say that this house is one of the main reasons things have been so nice and pleasant and easy lately. It's amazing what a difference actually liking the place you live can make. As for today, it will be a busy Monday. A morning meeting, then a class to teach, then a rainy afternoon at home, catching up on some freelance assignments, and finally yoga. I'm recommitting to fitness this week, and I already have the sore muscles to prove it. I hope your week is off to a relaxed and productive start. More soon. PS: All photos from my Instagram account, AKA the lazy way to document my life in a semi-meaningful way.